More Musical Theatre Classes! | Our students love Musical Theatre! 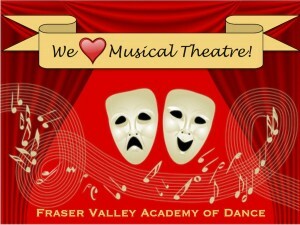 Our students love Musical Theatre! The response to our first year of our new Musical Theatre School has been amazing. Our Musicals program is now full. So we’ve added more Musical Theatre classes! Students can now enroll in one-hour Musical Theatre classes on Tuesdays. 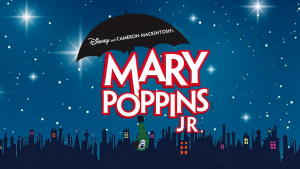 Students will learn basic stage performance techniques of acting, singing and dancing as a group while learning roles, stories, and characters from musical productions, such as Mary Poppins, Annie, and Fiddler on the Roof. Students can enjoy musical theatre without the time commitment of our full Musicals program. The classes will also better prepare students to join our full Musicals program in the future. There is no Ballet requirement for these classes. Students will perform a Musical Theatre number in our Annual School Performance in June. Students in Pre-Primary/Primary Modern-Jazz and Gr 1 Modern have been automatically enrolled. As soon as 5 students are on a waiting list, that class will open. If you would like to be on the waiting list for any of the above classes, simply enroll online for that class and you will be automatically added to the waiting list. We will have the new Class Information Sheets on our Resources page shortly. Enroll online now! Space is limited and we expect these classes to fill quickly! 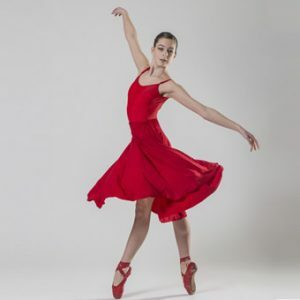 Previous Post: Save 10% at Discount Dance Supply!